It’s good to hide the apache2 version number from outsider. Especially hiding apache2 version number in all the error pages. Hackers used to collect all this information before they launch any attack. If you running an old version server that known to have security exploit then it will ease the work for hackers. 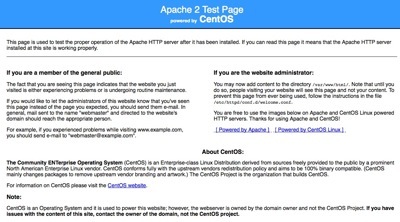 After you install apache web server in CentOS and point your browser to http://localhost you will see a Apache 2 Test Page powered by CentOS. You can disable or remove this apache test page from the configuration file. Before you do any modification, please make sure you have the privilege to reload the apache webserver.